As always, our Conference will include the Annual Meeting of the SAH/MDR. Below are the minutes from our 2015 Meeting in Ashland for review. Our Executive Board Members (President, Vice-President, Treasurer, and Secretary) serve two year terms. Odd years are election years; therefore, a proposed slate of officers for 2017-2019 is included below the minutes. 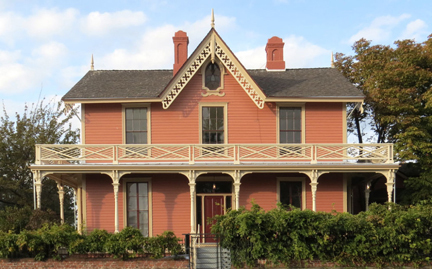 The October 24, 2015, Annual General Meeting of the Marion Dean Ross/Pacific Northwest Chapter, Society of Architectural Historians, was called to order in Pioneer Hall, Ashland, Oregon, by President Diana Painter at 12:30 p.m. The meeting was convened in conjunction with a three-day conference embracing the home of the Oregon Shakespeare Festival and other venues in the Rogue River Valley under the organizing theme of “Artifice and Authenticity in Architecture: To Play or Not to Play.” Attending were approximately forty conference registrants and presenters, chapter officers and board members. The motion to approve minutes of the 2014 Annual General Meeting as recorded by Secretary Bernadette Niederer was made by Kenneth Guzowski, seconded by William J. Hawkins, and passed unanimously. Mimi Sheridan presented status reports submitted by Dave Pinyerd and Bernadette Niederer, coordinator of membership and editor of the chapter blog, respectively. Chapter membership enrollment presently stands at 95 and represents an increase of ten since last year’s report. Mimi noted that all registrants for the 2015 Conference will be credited for one year of membership in 2016. Announcements concerning the annual conference are emailed to as many as 300 individuals and institutions. Subscribers to the chapter blog number 37, but, the subscriber roster does not reflect the number of people who see the blog on an occasional basis. “News & Notices” is a lively and colorfully-illustrated record of chapter affairs, publications, and passages – an online newsletter in effect, which rates broader viewership. Treasurer Mimi Sheridan reported the status of the chapter treasury before 2015 conference expenditures as $11,683. Of that amount, $7,800 falls within the category of unrestricted funds which may be used for conference expenses, awards, and so on. The chapter’s vigorous awards program is the major budget category. In addition to the discretionary Potter Research Award from unrestricted funds, the treasury currently holds $3,883 in restricted, or dedicated, funds for awards. Dedicated funds for educational promotion include the Marion Dean Ross Fund ($2,000), Architects’ Participation Fund ($1,000), the Student Participation Fund ($380) the Educational Projects Fund ($300), and the Wendell Lovett Fund ($504). President Diana Painter reported that the governing board had recently awarded the 2015 Potter Research Award to Christina Grey, a University of Toronto Master’s degree graduate presently enrolled as a PhD candidate in architecture at UCLA. The travel stipend in the amount of $500 will be used by the candidate to further her study of Arthur C. Erickson (1924- 2009) and the architect-client relationship in the context of designing the University of British Columbia Museum of Anthropology in Vancouver. Ed Teague, chair of the Nominating Committee which included Bernadette Niederer and Hal Kalman, opened his report with plaudits for appointees David Pinyerd and Bernadette Niederer, who serve so well as Membership Coordinator and Chapter Blog Editor, respectively, and are willing to continue fulfilling those roles. On the subject of the chapter archives, Ed announced that, in his capacity as Digital Archivist for the University of Oregon Libraries, he had recently been able to give the chapter’s Scholars’ Bank a presence on the Internet. The shortcut URL is http://tinyurl.com/sahmdr-archives. The 50th anniversary commemorative piece prepared by Elisabeth Potter, “Scholars and Sightseers: The Society of Architectural Historians in Northern California and the Pacific Northwest 1954-2004” is now added to the online resource. No nominations were offered from the floor. Kenneth Guzowski moved for adoption of the committee’s slate in its entirety. The motion was seconded and passed unanimously. Phil Gruen led the discussion of prospective locations for the chapter’s annual conference. Martin Segger extended an invitation to the chapter to gather in Victoria, B.C. in 2017, when Canada will be celebrating the 150th anniversary of Confederation and Wentworth Villa, a new conference facility, will be opened in Victoria. He said he would be willing to work with the organizing committee on arrangements for the conference. The gracious proposal was met with universal favor. Suggestions for 2016 included Bellingham, Walla Walla, and Pullman in Washington; Baker City and LaGrande in Oregon; Moscow and Sun Valley (Ketchum) in Idaho; and Homer, Alaska. Considerable discussion of Baker City was prompted by Susan Boyle, and it was suggested by Bill Hawkins that a key contact for local arrangements would be the former National Trust for Historic Preservation regional representative who restored the city’s prominent 1889 Geiser Grand Hotel. The varied suggestions were accepted for consideration by the governing board. The meeting was adjourned shortly before 1:00 p.m. with closing formalities necessarily cut short in the interest of adhering to the schedule. Nevertheless, conferees individually expressed whole-hearted appreciation to the Conference Committee for organizing outstanding papers sessions, enlisting engaging local presenters, and providing rewarding tours and well-chosen venues at varied locations in southern Oregon’s Rogue River Valley. In accordance with the bylaws of the Marion Dean Ross Chapter of the Society of Architectural Historians, a slate of board nominees shall be presented to the membership 30 days in advance of the biennial election. Elisabeth Potter and Ed Teague led the nominating committee this year and have submitted the following slate for the forthcoming annual meeting to be held in Victoria on June 17, 2017. Nominations from the floor may be entertained as a matter of protocol. Wentworth Villa (1863), site of the Conference’s Paper Sessions on June 17. The Marion Dean Ross Chapter of the Society of Architectural Historian’s 2017 conference program has been completed! The program and registration information are available here. Note that in the program all the underlined references in blue are weblinks. You can click them for further details. To register online with Eventbrite click here. This year’s conference will be in Victoria, BC. Inspired by a variety of anniversary celebrations being held in Canada, the conference theme is “Commemorations.” The conference will begin with a walking tour on Friday, June 16, and end with a boat tour on Sunday, June 18. In between will be a reception, more touring, a banquet, and of course, paper presentations. All is described in the conference program. 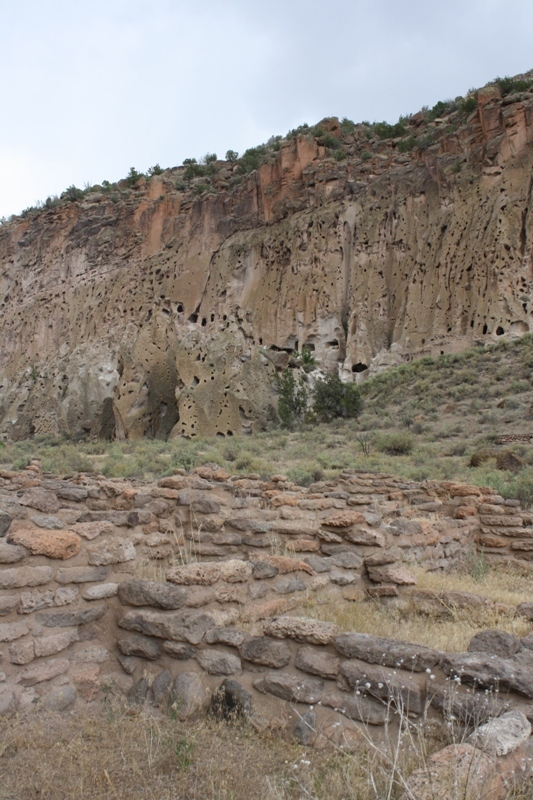 Pueblo archaeological site at Bandelier National Monument. Photo by Diana Painter. Commemorations! Anniversaries! Celebrations! The theme of this year’s SAH/MDR conference is commemorations. I had the good fortune last summer to attend a celebratory symposium of the 100-year anniversary of the US National Park Service and the 50-year anniversary of the National Historic Preservation Act in Santa Fe, NM entitled, “A Century of Design in the Parks.” I joined like-minded National Park Service employees, State Parks employees, consultants and academics to discuss and debate the future of our professional practices and the future of our parks, with a particular focus on preserving the built environment. It was a privilege to contemplate questions of conservation of natural resources and preservation of the built environment in our amazing parks resources with these colleagues. In three intense days, two tracks of investigations were explored, the enormous contribution of the Civilian Conservation Corps to our parks, and legacy of the National Park Service’s Mission 66 program. Overarching themes were also explored, such as “Assessing Climate Vulnerability in Cultural Landscapes of the Pacific Northwest” (Robert Melnick and Noah Kerr, University of Oregon) and “Landscape Processes and Cultural Resources” (Laurie Matthews, MIG, Portland). 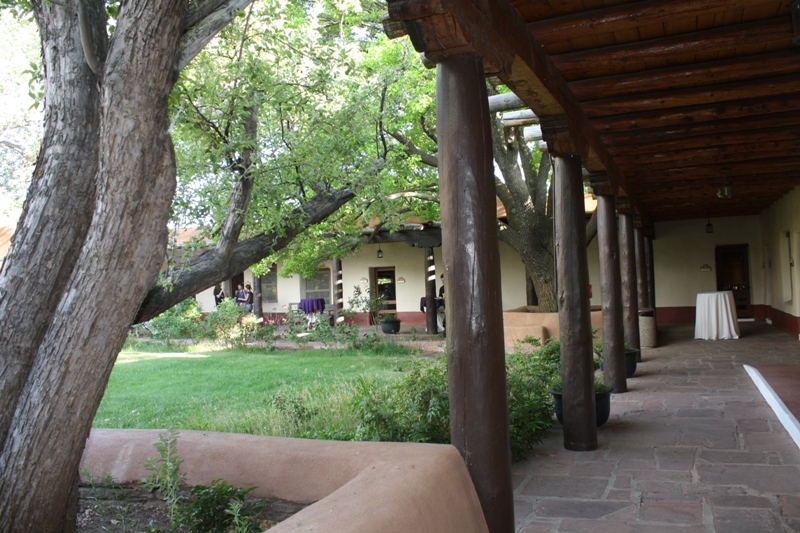 The NPS Region III Headquarters in Santa Fe is the largest Adobe office building in the U.S. Built in 1937-39 by the CCC. Photo by Diana Painter. I look forward to similarly rich discussions at our conference in Victoria, June 16-18, 2017, at the newly restored, 1863 Wentworth Villa. We will help our fellow Canadians celebrate their 150-Celebration and – I anticipate – also explore our common concerns with preserving our architectural and landscape history through research, documentation and – celebration! Victoria offers a rich environment in which to explore these topics, with its layered cultural history and beautiful buildings and parks, all in a spectacular natural setting. Please consider joining us in Victoria. CHSA meets in Seattle in 2017! The Construction History Society of America is holding a 2017 meeting in Seattle. The event, which will be hosted by the UW’s Departments of Construction Management, Architecture, and the College of Built Environments will focus on “Construction History on the Frontier,” and will take place from July 20-22. The keynote speakers are slated to be: Jeffrey Ochsner (University of Washington), Mike Lombardi (The Boeing Company), Knute Berger (Crosscut) and Jon Magnusson (MKA Magnusson Klemencic Associates). For more on CHSA and details of the Seattle meeting as they develop, go to http://www.constructionhistorysociety.org/. According to the National Park Service, a commemorative property is important not for association with the event or person it memorializes, but for the significance it has acquired after its creation through age, tradition, or symbolic value. Please join us in Victoria, B.C., June 16-18, 2017, to celebrate commemorations, especially the Canada 150 celebrations (1867-2017), the 100th anniversary of the US National Park System (2016), the 50th anniversary of the National Historic Preservation Act (2016), and the Parks Canada’s Centennial (2011). We will also be recognizing Victoria’s Centennial (1962) by reflecting on the on-going significance of Victoria’s 1965 Centennial Square. Topics germane to the theme will be encouraged, but those covering any aspect of the built environment of the Pacific Northwest or beyond will be welcome. Abstracts will be blind peer-reviewed by the SAHMDR Review Committee. Membership in the SAHMDR is not required for abstract submission, although those chosen for presentation will be asked to contribute chapter dues for the current year. Graduate students and advanced undergraduates in fields related to the built environment are particularly welcome. Submission Guidelines: The abstract should be no more than 300 words and should fit onto a single-sided page. A single separate page should include the author’s name, address, telephone number, and e-mail address with a brief, 100-200 word paragraph biography or one-page curriculum vitae. Indicate in your abstract whether you intend to deliver a twenty-minute paper or a ten-minute work-in-progress report. Ideally, submissions should be analytical or critical in nature, rather than descriptive, and aim to make an original contribution. Electronic submission of proposals is preferred. Abstracts are due on or before March 15, 2017, and authors of papers chosen for presentation will be notified by April 15, 2017. Completed manuscripts of accepted papers must be submitted in full to conference organizers by June 1, 2017. Authors shall retain copyright, but will agree that the paper can be deposited for scholarly use in the chapter archive in the Special Collections & University Archives, University of Oregon Libraries. Amanda C. R. Clark, MLIS, Ph.D.
Parliament Buildings, photo copyright Michael Foort. In preparation for the Marion Dean Ross/Pacific Northwest Chapter of the Society of Architectural Historians conference in 2017, we have reserved a block of rooms at the Union Club of British Columbia. The conference will be held in Victoria, June 16-18, 2017. The discounted block of rooms is limited, so we wanted to get the news out early to help you with your summer planning. The Union Club will also serve as the site of our Saturday banquet. It is a great place to immerse oneself in historic Victoria! A PDF with more information on the special room rates is available here or at the SAH/MDR website at http://www.sahmdr.org/conference.html. The conference theme and program are coming together and more details will be available soon! We’re looking forward to seeing everyone in Victoria! The Construction History Society of America (CHSA) will meet in Austin, Texas, from May 26-28, 2016. Twelve sessions covering a wide range of topics, from Colonial Latin America to Plastic Composite Construction, will be augmented by four tours covering Austin and its environs. “The History of Construction has evolved by experimentation, refinement, and by the transference of knowledge across different cultures and continents. The cross pollination of ideas, methods of construction, and even styles is characteristic of the development of the architectural discipline. In the Americas these encounters of cultures and modes of operation have created a rich scenario in which buildings emerge as result of the cultural exchange, insertion of new social orders, industrialization, and adoption of new technologies. As cities change and mature the exchange and influences have become an intrinsic part of this ongoing evolution (and revolution) that impacts the built environment and its methods of materialization. Tyler Sprague in action, presenting The Rise of the Exterior Bearing Wall, or “Tube” Skyscraper: An Alternative Perspective from Seattle. Photo by B. Niederer. The CHSA is part of the larger International Congress on Construction History (ICCH), which meets every three years. Last year, for the first time, the Congress ventured to the United States to meet in Chicago in June 2015. At the Congress, more that 300 attendees represented at least 25 different nationalities. Over the course of the five day conference there were 52 paper sessions, each featuring three to five papers (in published form, that’s around 1800 pages). With such a proliferation of papers, it was natural that most attendees were also presenters. In addition to paper sessions, there were also daily keynotes, social hours, and a full day of tours in and around Chicago. The MDR Chapter of the SAH was well represented among the presenters, mainly due to Tyler Sprague (University of Washington), who presented not one, but two papers during the Congress. Tyler Sprague will also present as part of the the upcoming Austin conference. Though these points can easily be translated to the Society of Architectural Historians, construction history shifts the focus away from the architect and toward everyone else. As James Campbell (University of Cambridge) pointed out during his keynote “Bricks, Books, Cathedrals, and Libraries,” about Christopher Wren’s library for Trinity College, it is likely that Wren only visited the library twice during his lifetime, and never after its completion. So by calling it “Wren’s Library” a vast number of contributors are omitted, from clients to craftsmen to couriers and beyond. So how did this shift away from architects express itself during 5ICCH? The Willis (Sears) Tower, SOM, 1973. Photo by: B. Niederer. Sessions tended to group papers into overall themes. In some cases, presenters focused on very small elements. For example, during a session on “Equipment and Elevation,” Ilaria Giannetti (University of Rome) looked at the far-reaching impact of tubular scaffolding, or more precisely, a “clamping bolt with a T-shaped head and a hinge,” patented by Ferdinando Innocenti in 1934. The resultant scaffolding system was much used in cast-in-place concrete construction in Italy, including bridges of the Autostrada del Sole and Pier Luigi Nervi’s Palasport domes. A much larger scale was addressed in the “Skyscrapers” session, which included an analysis of the 1969-1974 construction of Willis (Sears) Tower by John Zils; Skidmore, Owings, Merrill (SOM) Associate Partner Emeritus. The structure’s modular “bundled tube” design employed by its structural engineer Fazlur Khan combined with extensive off-site prefabrication and streamlined personnel management (around 2400 people worked on the site each day) resulted in a building that was particularly efficient in terms of resources used, time, and costs. The tale of the Sears Tower’s efficient progress, around two stories per week, contrasted with the tale of another building discussed during a keynote lecture: “Frank Lloyd Wright and the Mile High Tower,” presented by William F. Baker, Structural and Civil Engineering Partner at SOM. The primary difference between the Sears Tower and Wright’s Mile High Tower (also known as “The Illinois”) is of course that one is very real while the other remains hypothetical. Could Wright, known for his “ground scraping” residential projects such as Chicago’s Robie House,” design a viable skyscraper in 1956? Though conceptual drawings for the Mile High Tower rather resemble the half-mile tall Burj Khalifa in Dubai (for which the presenter served as the structural engineer), Wright’s foundation system, the “taproot” he employed at the Johnson Wax Research Tower (1950) would be ineffective in a mile high cantilever. All structural issues aside, it is on the logistical end that Wright’s design would have fallen apart. Contrast the construction progress of the two story per week Sears Tower with the five story per year Johnson Wax Tower. The 18 million square foot interior would also present a commercial real estate nightmare. In contrast, the Sears Tower’s 108 stories contain nearly 4.5 million square feet. Sears initially intended to occupy 26 levels of the structure, leasing out the remainder, but eventually intended to occupy the ENTIRE structure. That never quite happened and thus the Sears Tower became the Willis Tower, whose current largest tenant (United Airlines) occupies 20 floors. Architectural Models at the Chicago offices of SOM. Photo by B. Niederer. SOM not only provided presenters to the Congress, but also hosted an evening reception at their Chicago offices. Located in the Railway Exchange Building (Burnham & Root, 1904), the firm spreads the roughly 300 employees of the Chicago office over three floors arranged around a central atrium. A large reception area, located on a lower level, is dominated by oversize renderings and models of the firms projects throughout the world. Another large reception during the Congress was held at the Ballroom at the School of the Art Institute of Chicago (formerly the Illinois Athletic Club; Barnett, Hayes, and Barnett, 1908). Titled “We Built Chicago,” the event was sponsored by the Builders Association of Chicago and featured representatives from four construction firms talking about their history. The companies were family businesses, one founded as early as 1856. There was a certain jealousy of this west coaster for the continuous construction history and expertise represented on stage. While the conference’s content skewed highly technical, occasionally resulting in rather overheated grey matter on my part, I can highly recommend attending a meeting of the Construction History Society, whether it be the upcoming Austin gathering or the next international meeting in Brussels in 2018. For more on CHSA, go to http://www.constructionhistorysociety.org/.